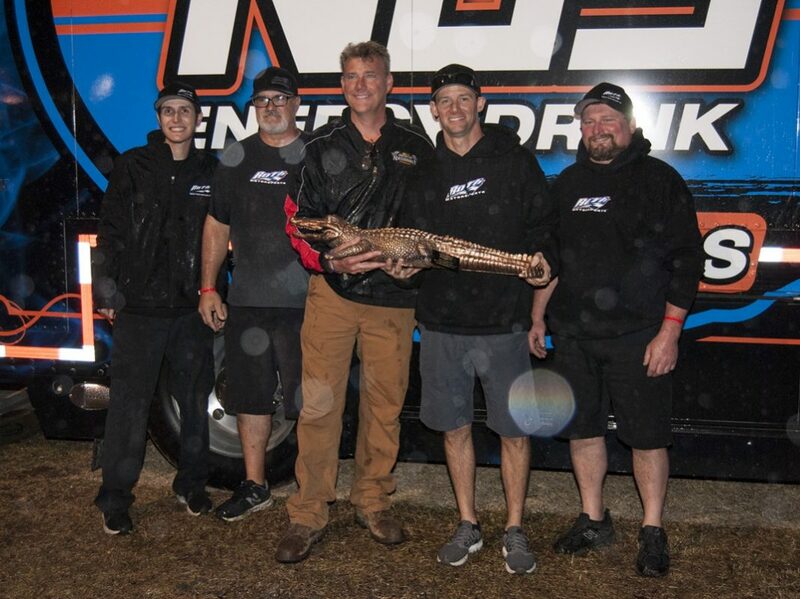 BARBERVILLE, Fla. — Rain forced Volusia Speedway Park officials to cancel Sunday night’s races at the DIRTcar Nationals. Sunday’s World of Outlaws NOS Energy Drink Sprint Car Series finale will not be made up, with Daryn Pittman earning the overall sprint week championship on the strength of two victories and four top-three finishes from Wednesday through Saturday. His Saturday night victory was perhaps the most impressive performance of the week, with Pittman fending off a determined Christopher Bell en route to the win. The Oklahoma duo exchanged the lead five times in the final 12 laps of the 30-lap feature. Pittman’s DIRTcar Nationals title is the third of his career and first since 2015. Leaving Volusia Speedway Park, Pittman carries a 10-point lead in the championship standings over Bell, who will be racing with the NASCAR Xfinity Series next weekend at Daytona Int’l Speedway with Joe Gibbs Racing. Reigning Knoxville Nationals winner Brad Sweet and 10-time World of Outlaws champion Donny Schatz end the first weekend of the year tied for third in points, 16 back of Pittman. Of note, Sunday’s DIRTcar UMP Modified Gator Championship qualifying event will be moved to Monday, along with the completion of Saturday night’s rained-out event. The Saturday and Sunday qualifying races will be mixed into Monday’s program, with hot laps starting and gates opening at 5 p.m. Meanwhile, the World of Outlaws NOS Energy Drink Sprint Car Series season continues with back-to-back races in Texas on Feb. 22-23, with stops at Cotton Bowl Speedway and LoneStar Speedway, respectively.